Claire deserves some peace and quiet after having a tough time. That's why she rents a cottage near Bamburgh. The cottage is basic and hasn't been updated in a long time, but it has a gorgeous seaside view. It also comes with another benefit, a handsome neighbor. Ed isn't easy to read, he's kind one moment and distant the next. He and Claire do have something in common though, they're both survivors. Claire's holiday only lasts three weeks and she hopes it will be enough to recharge her batteries. 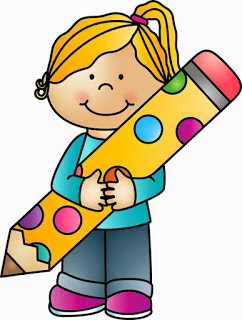 She makes a list of her magic moments, so she can write about them later. Claire is a journalist and honestly tells her readers what's going on in her life. She shares the good and the bad. 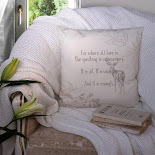 She knows that after a blissful holiday in her seaside cottage the time will come to go home again. Will she ever see Ed again or will he just become a beautiful summer memory? My Summer of Magic Moments is a fantastic story. I greatly admired Claire. She's incredibly brave, she's open and she knows what's important in life. She's a breast cancer survivor and Caroline Roberts writes about that in a fantastic emphatic and realistic way. She doesn't stay away from the bad things in life, but she makes sure the good moments are getting plenty of attention as well. Claire is ready for a fresh start and that's when she meets Ed. Ed is a brooding man. It's clear he struggles and the sweet Claire is exactly what he needs. I loved the delicate and careful bond they're forming. It's perfect for the story and Caroline Roberts describes it in an impressive natural way that melted my heart. 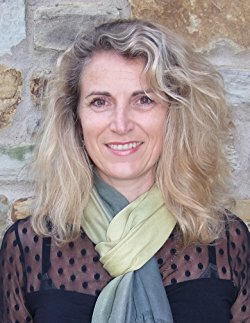 Caroline Roberts has written a very special story. Her main characters are strong and vulnerable at the same time, which is a stunning contrast. I loved the magic moments that are being shared in My Summer of Magic Moments, they're touching and they're giving the story something extra that immediately enchanted me. The atmosphere of My Summer of Magic Moments is sometimes dark, but mostly it's light and hopeful, while it's a story about the difficult things in life it's also a story about the most impressive and memorable moments. I absolutely loved this precious moving, magical book, it's truly amazing. If you love beautiful stories about second chances, beautiful beaches and true love you will definitely like My Summer of Magic Moments. 1) Could you give our readers three bookish facts about yourself? My dad used to manage a book wholesalers so I was literally surrounded by books as a child. I studied English Literature at Durham University for three years. I won a place to be a featured writer on Read Regional last year and did talks at 11 libraries around the North of England – a brilliant experience. I was a little nervous of the public speaking at first but soon enjoyed chatting with interested readers. 2) Can you describe the main characters of My Summer of Magic Moments in six words each? 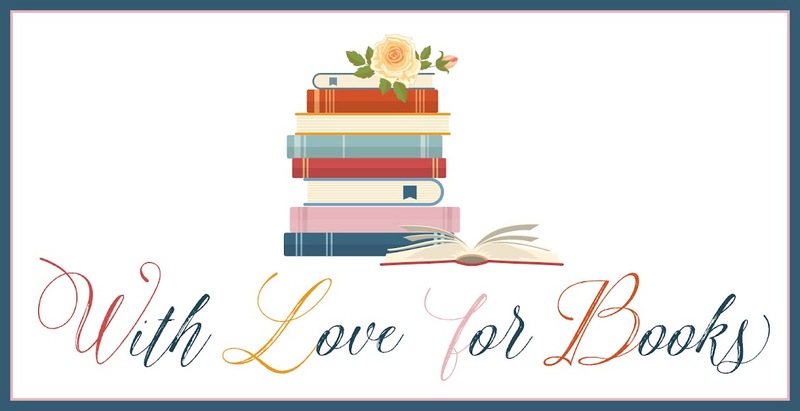 3) What inspired you to write a romantic summer story? I loved the idea of a coastal summer setting, and it was in fact inspired by a real place where the cottages front the beach between Bamburgh and Seahouses in Northumberland, where I often walk my dog. It was great to focus the story and the developing romance over one summer too. 4) You write about magic moments and asked people about their own, can you share a meaningful magic moment with our readers? Holding the first paperback copy of my debut novel ‘The Torn Up Marriage’ was such a magic moment, especially after ten years of writing and trying to get published. I will never forget that feeling. 5) How did you handle the research for your book? I wanted to treat the subject of breast cancer sensitively whilst exploring the emotional as well as physical scars relating to that and be as well-informed as I could. I had a lovely contact, Heidi, who became a friend - she was so honest and open about her own experiences having been through breast cancer and she now works for a breast cancer charity – that was just wonderful. I also spoke to our local GP to get medical facts right, and two journalists to inform Claire’s job and role at the newspaper. 6) What do you like the most about the seaside? The beautiful colours and views of the beach, sea, and sky, the feel of sand beneath your feet, the salt smell of fresh sea air, Mr Whippy ‘99 ice creams, and fish and chips. 7) What's are your favorite holiday destinations, in real life and fiction? · Northumberland, where I live, is beautiful, with a gorgeous coastline and rolling hills. Staying over in a country hotel would be so nice. · The Greek Islands are lovely. We have had some great holidays there when my children were younger. I particularly like Corfu; hiring a boat, swimming in the sea, visiting pretty villages, eating out in tavernas. · The Maldives are very special - I have been lucky enough to go there twice – just amazing , clear blue seas, fabulous snorkelling, wonderful beach hotels. The perfect island escape. · A safari in South Africa. My magic moment of mine this year so far was watching a herd of giraffes peacefully grazing, whilst I was stood with a G&T watching the sun go down over the African hills – stunning. Fiction is a great way to explore places you have never been too. I’d love to go to India and a friend Janet MacLeod Trotter writes fabulous historical romance books set there: ‘The Tea Planter’s Bride’ and series. It makes you feel like you are really there and in that time – the sights, the sounds, the smells. 8) What do you still dream of when it comes to writing? Writing beautiful stories that readers will love - that’s the main thing. And I hope that in time my books will be available more widely in book stores nationally such as Waterstones and WHSmith, though I’m really lucky to have got into Sainsburys and Asda supermarkets with My Summer of Magic Moments. 9) What's the most wonderful thing about holiday romance? That sense of escape, and magic and romantic potential. A romance seems more intense when you are away from normal cares and work. I am busy writing two more ‘Cosy’ books, the first being The Cosy Christmas Chocolate Shop set in a gorgeous harbour village in Northumberland, which is out early November ‘17. Thanks for having me and for some great questions , Suze! Family, friends, food, a glass of bubbly and, of course, a good book make me smile. 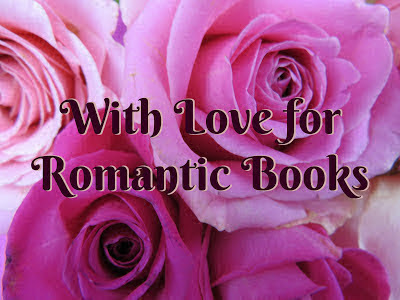 I love writing novels about love, loss, betrayal, and family, that explore how complex and yet beautiful love can be. I also like to write romantic comedy, letting the characters have a bit of flirty fun too! I believe in following your dreams and working hard towards them, which led me to Harper Impulse (Harper Collins) and a publishing deal (woop!) after many years of writing. Stunning Northumberland in England is my home – sandy beaches, castles and gorgeous countryside that have inspired my writing. 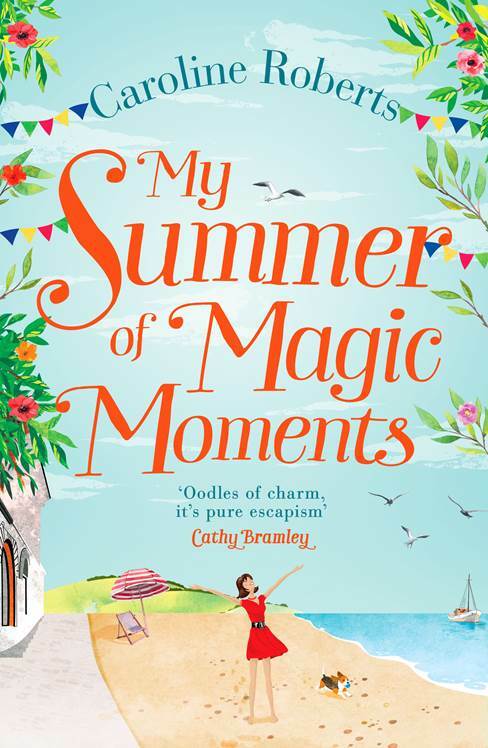 One very lucky reader of With Love for Books will receive a signed copy of My Summer of Magic Moments. 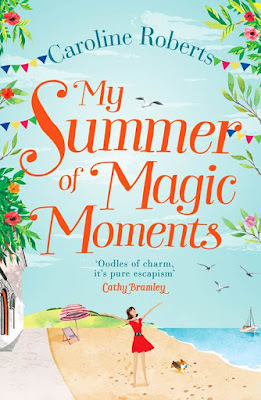 My Summer of Magic Moments sounds like a beautiful story about second chances and true love. What a wonderful book! Great interview. Thanks for sharing. Would love to win this book for my Mum. Very lucky to live up in Northumberland its beautiful up there, with kielder in land and the beautiful coast, we like nothing better than getting fish and chips in Amble and eating them in druridge bay park. Sounds like a great read. Would love this! It sounds like a truly lovely read, thanks for sharing it. Thank you for the review. Sounds like a great story. It's what we need as the nights draw in some summer sunshine. I would so love to win your book and read it. And what a great cover! Would definitely read this book! 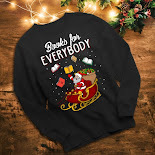 Now to head to the bookstore and find it! I'd love to go on an African safari. That giraffe picture is beautiful. Oh this looks like such a great read! Caroline Roberts is a new author for me. I cannot wait to read this! Wish it was summer again .... I'm freezing. Michelle Wild. My favourite summer magic moment happened a few years ago. But my Mum and Dad had said I could have a horse for the winter (from the riding stables I used to go on holiday to) and if I coped I could then look to getting my own once that one had gone back. I always rode the same horse there and hoped that I could take him home. When we rang, they agreed but said that my favourite might not be available as he had gone out on loan for the summer. Of course, I went a bit "babyish" and said I didn't want to go if I couldn't take Sunny home. But Mum and Dad persuaded me to go. When we arrived and I got my cases and stuff in, the owners said "we have some new horses in the stables if you want to go and see them". When I headed into the barn I could see Sunny in the first stable. :) I was so happy. After my parents got home they rang the stables unbeknown to me and said they would like to buy Sunny for me. So home he came and stayed for 10 glorious years before I sadly lost him to colic.